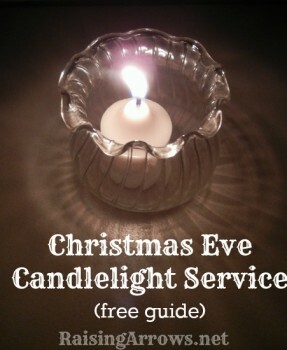 Free Family Christmas Eve Candlelight Service Download! You are here: Home / Family Freebies / Free Family Christmas Eve Candlelight Service Download! Receive a free Family Christmas Eve Candlelight Service guide when you subscribe to Raising Arrows. What a great tradition to start at home!